You are viewing the schedule for the venue Randvere School. 1. Register on the WCA website before 26 February, 23.59 UTC + 2. After that, no new registrations will be accepted. On the spot registrations are not permitted. 2. Pay your registration fee (and your debts if you have any), otherwise your registration will not be accepted. You may combine the registration fee of other competitions and pay for all of them at once. Until February 15 the registration fee is 5€. 1. Registreerima end WCA lehel enne 26. veebruari, 23.59. Pärast seda ei ole võistlusele registreerumine enam võimalik. Kohapeal registreerumine pole lubatud. 2. Tasuma osavõtutasu (ja võlad, kui teil neid on), sest muidu ei kinnitata teie registreeringut. Võite maksta ka kõikide võistluste eest korraga. Tagasimakseid ei tehta, aga kui teavitate korraldajaid oma mittetulemisest enne 27. veebruarit kell 23.59, siis saab sama osavõtutasuga võistelda järgmisel Eesti võistlusel. You can walk from the train station to Viru Keskus through the Old Town, it is only about a 15-minute walk. Then have a look at further directions from "Bus" section. You could park your car in the school's parking lot. At this competition we will be holding a special non-WCA event called a "head-to-head 3x3 tournament". It consists of 16 of the fastest competitors according to the results of the 1st round of 3x3. The format is the 16 competitors doing a 1 versus 1 race with eachother until we figure out the winner. The format of the 1 versus 1 race will be best of 1. The winner of a 1v1 race will do another 1v1 race with another winners. Sellel võistlusel korraldame me erilise mitteametliku ala ''1 versus 1 3x3 turniir''. See koosneb 16 kõige kiiremast võistlejast kes kuulutame välja peale esimest vooru. Ala formaadiks on 16 inimest kes teevad 1 versus 1 võistluse kuni leiame võitja. Võistlus käib nii, et mõlemal võistlejal on üks lahendus ning see, kes saab kiirema aja võidab. Võitja teeb 1 versus 1 võistluse veel ühe võitjaga. 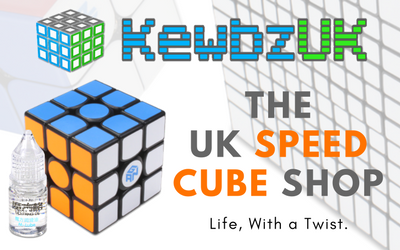 This competition is being sponsored by KewbzUK, one of the best places to buy speedcubes and other twisty puzzles in the UK. They are providing prizes for all the winners! 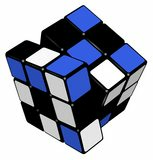 This competition is also being sponsored by TheCubicle.com, a wonderful shop to get your puzzles from, especially if you live in the US!